Toronto, Ontario--(Newsfile Corp. - October 10, 2018) - Appia Energy Corp. (CSE: API) (OTCQB: APAAF) (FSE:: A0I.F) (FSE: A0I.MU) (FSE: A0I.BE) (the "Company" or "Appia) is pleased to announce the completion of the Summer exploration program (the "Program") carried out on the Alces Lake Property (the "Property") in northern Saskatchewan. The Property encompasses some of the highest-grade total and critical REE mineralization in the world with average grades ranging from 2.0 to 47.2 weight% Total Rare Earth Oxide. Assay results for the 2018 exploration work are still pending and will be announced as they are received and analyzed by the Company. The Program consisted of i) overburden stripping that delineated seven surface zones (Figure 1; Bell, Charles, Dante, Dylan, Ivan, Wilson and Wilson South-Central), ii) the collection of 844 systematic channel samples taken from all seven exposed zones, iii) the collection of 6 heavy mineral black beach sand samples exploring for sediment-hosted monazite and rare earth elements ("REEs") at surface, and iv) the completion of 15 diamond drill holes into 3 of the zones (Charles, Ivan and Wilson). 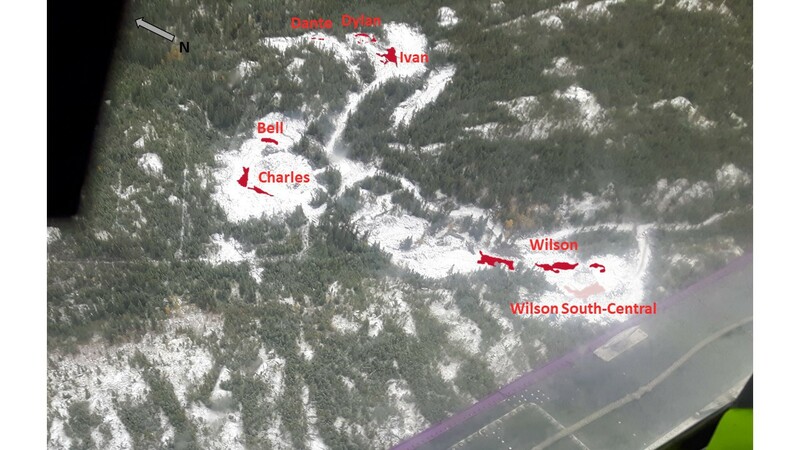 Mr. James Sykes, Appia's Vice President, Exploration and Development comments, "The diamond drill program was the first-ever on the Alces Lake property. The drilling phase of the Program has successfully shown that concentrations of semi-massive to massive monazite mineralization exposed at surface continues to depths of 5 to 10 metres below surface and appears to be open at depth. We are equally excited about the discovery of three new monazite occurrences between 8 and 15 m below surface at the Charles and Ivan zones. These new discoveries prove the sub-surface of the Property remains highly prospective for more concentrated REE zones similar to those discovered to date (see Figure 2)." The surface stripping, channel sampling and diamond drilling have provided valuable geological insights that will help the Company target areas of potential mineralization beneath the surface. All drill core samples have been hand delivered to the Saskatchewan Research Council's ("SRC") Geoanalytical Laboratory, an ISO/IEC 17025:2005 (CAN-P-4E) certified laboratory in Saskatoon. The Alces Lake Property encompasses some of the highest-grade total and critical REE mineralization in the world, hosted within seven surface showings that remain open in all directions (see *Note below). Critical rare earth elements are defined here as those that are in short-supply and high-demand for use in permanent magnets, for electric vehicles, wind turbines and other modern electronic applications (i.e: Neodymium (Nd), Praseodymium (Pr) and Dysprosium (Dy)). The Alces Lake project area is 14,334 hectares (35,420 acres) in size. Figure 1: Aerial view of high-grade critical REE zones currently delineated at surface. No scale. NOTE: Bell, Dante, Dylan, Ivan and Wilson zone outlines are based on surface radioactivity measured at surface (>10,000 cps, >1,000 cps for pink zone at Wilson South-Central). Charles zone outline is based on >0.1 wt% Total Rare Earth Oxide cutoff. 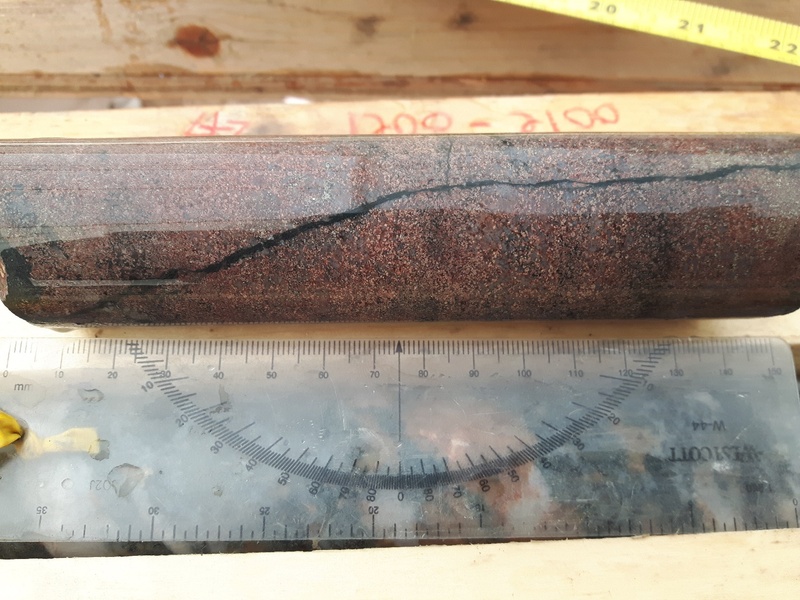 Figure 2: Drill hole CH-18-006 @ 11.5 m drill hole depth - massive monazite mineralization within a new sub-surface discovery below the Charles zone. Radioactivity for this piece measures up to 8000 counts-per-second, the second highest radioactivity measured from all 15 drill holes. BQ-size drill core, 15 cm length.